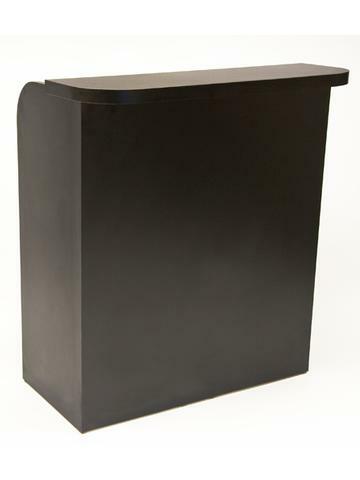 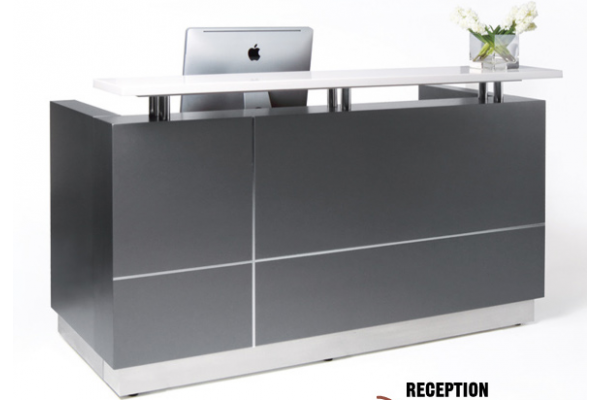 Reception Desk A is Custom Made 100% in Canada and makes a great first impression on all of your clients. 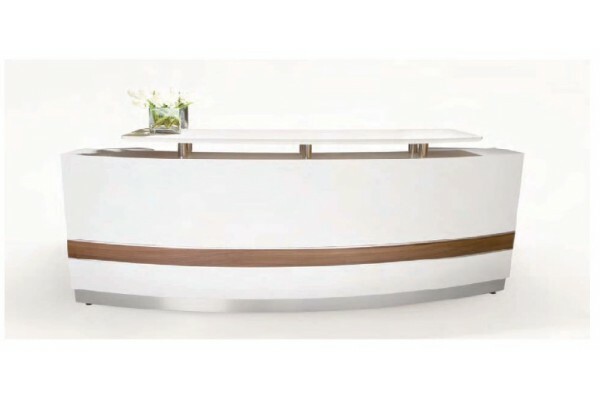 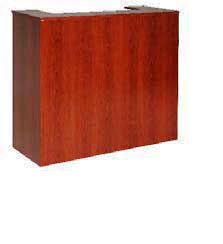 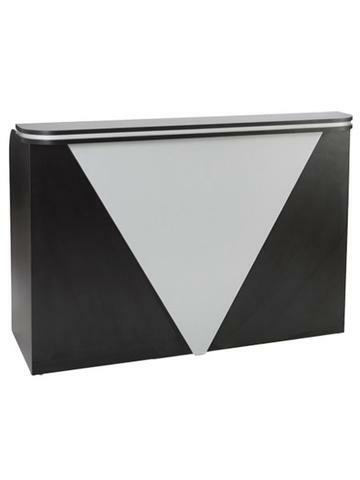 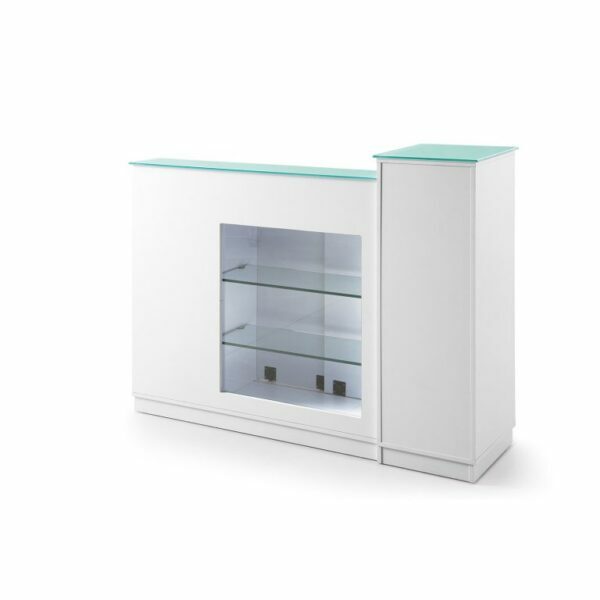 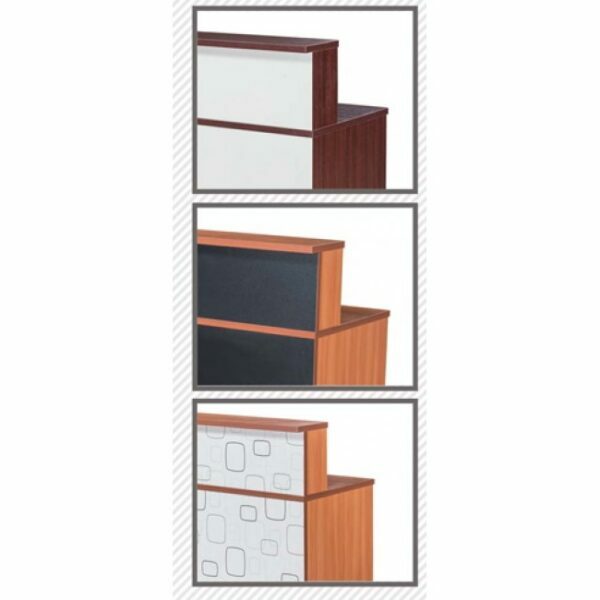 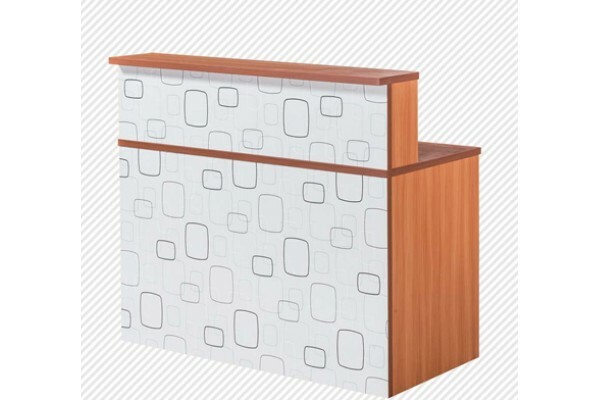 This Salon reception desk features a two-tone color scheme and is available in the 20 popular laminates shown below. 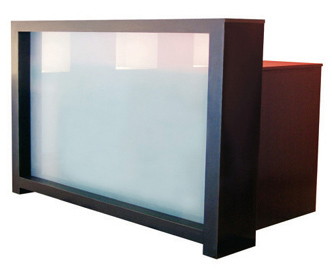 The raised frontal panel and inlaid color accent below the check ledge are both fully customizable in any color combination. 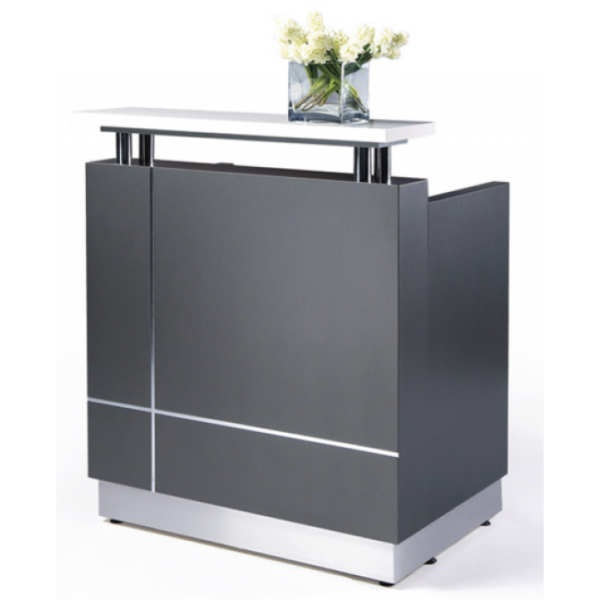 The Bali Reception desk features two storage drawers, a locking cash drawer, and a client check ledge for great functionality. 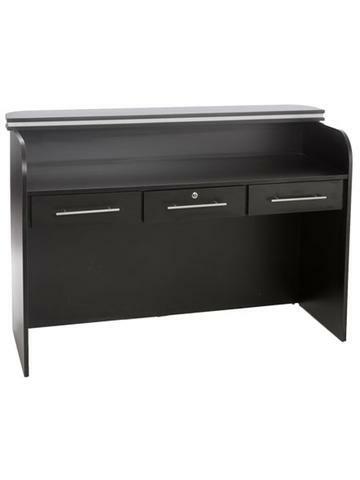 This desk is perfect for use with any type of computer and ships to you FULLY ASSEMBLED!! 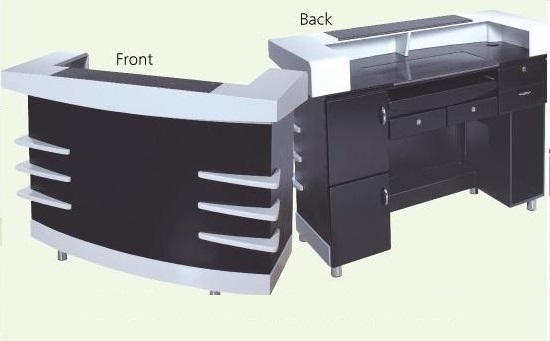 Please allow 7-10 days for shipment of custom colors.